YOUR TURN TO SHINE WITH THE MAXX ROYALTY SPARKLE! Fashion, lifestyle, beauty, sport, gourmet experiences, and luxury meet the Maxx Royal services. 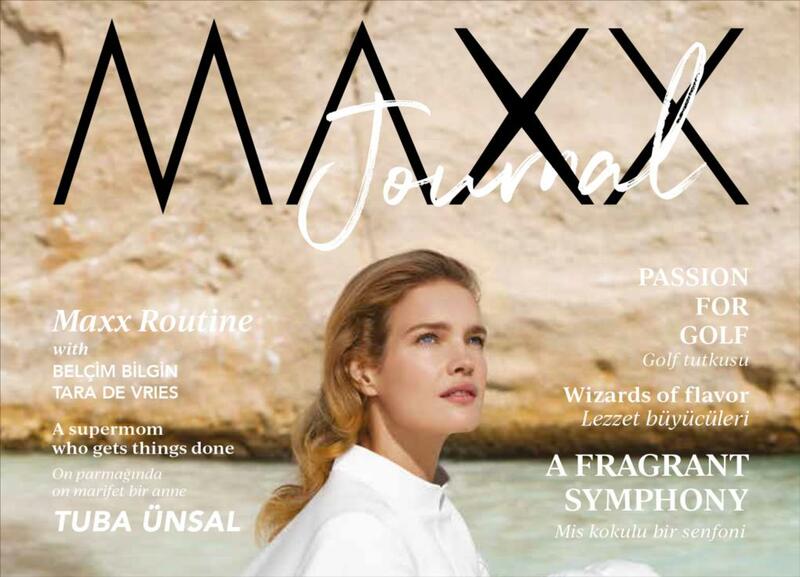 MAXX JOURNAL, RENEWED MAGAZINE OF MAXX ROYAL RESORTS, IS OUT! Interviews with world-famous figures, trends that shape the fashion world, tips on how to turn your holiday into an experience and much more... With its new design and rich content, Maxx Journal is out! Enjoy reading it in your room, on your sunlounger or during a coffee break. BEYMEN NOW AT MAXX ROYAL KEMER RESORT! Bringing together many world-wide known brands, Beymen's new concept Beymen Resort Store is now at Maxx Royal Kemer Resort with exclusive products! You’re invited to Beymen Resort Store, the new store of Maxx Royal Kemer Resort for a pleasant shopping experience. RECEP TURAN THE CHAMPION OF MAXX ROYAL CUP! Recep Turan is deemed winner of 3rd Maxx Royal Cup. Moreover, team Ukraine wins the competition in “Nations’ Cup” of the organization which hosted 136 golf players from 22 countries. 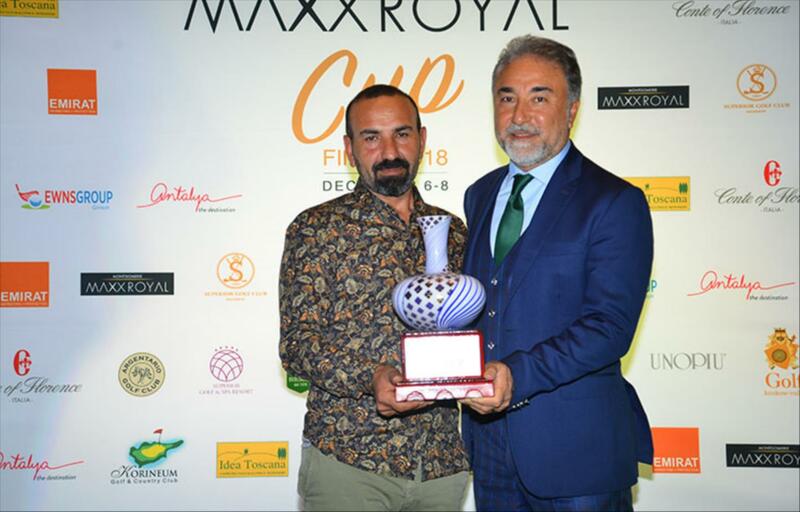 Recep Turan is deemed winner of 3rd Maxx Royal Cup. Moreover, team Ukraine wins the competition in “Nations’ Cup” of the organization which hosted 136 golf players from 22 countries. 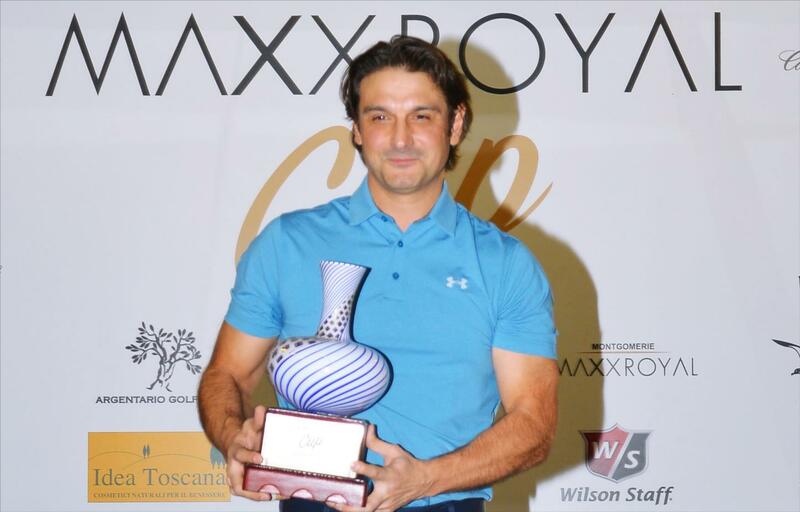 Recep Turan is crowned champion of Maxx Royal Cup final organized at Montgomerie Maxx Royal Golf Club in Belek. Within the framework of a series of tournaments gathering 136 players from 22 countries on 6-8 December, 25 finalists ranking first in the tournaments held throughout the year have taken the course. Scoring 32 on the first day and 40 on the second, Recep Turan ended the competition at the top with total of 72 points. Whilst German player Christiane Finke takes second, Russian player Andrew Mayatski, the winner of last year, ranks third gaining 64 points. Ukraine E Team comprised of Oleksandr Gorokhovskyi, Andrii Lutskiv, Don Borys and Tobias Bialk ranks first in Nations’ Cup hosting 34 teams from 21 countries. Furthermore, Alexander Manninger from Austria ranks first in Presidents Cup where the presidents of clubs struggled. The guests, during a pleasant week at Maxx Royal Belek Resort, were full up with golf at the course bearing the signature of Colin Montgomerie, one of the legendary names of golf. In the magnificent evening that the Maxx Royal Cup special awards have been distributed, Recep Turan won the championship cup while Lovro Horvat won the Longest Drive Award and Ottavio Coppola won the Nearest to the Pin award. The awards and the gifts of sponsor clubs have been granted to the players placed in the categories. HOSTED BY MAXX ROYAL KEMER! Aiming at breaking taboos of women health, 2018 “Let’s Talk!” was held at Maxx Royal Kemer Resort on Oct. 25-26. Guests from several sectors gathered in the event led by model Natalia Vodianova and UNFPA. In award ceremony, which welcomes Emine Erdogan as guest of honor, important names Adwoa Aboah, Natalia Kanem, Alanna Arminage also took part. Adwoa Aboah, Anja Rubik, Dr.Nathan Nawzat Hasan and Dilek Sabanci received award. Boury and the Maxx Royal hotels share the same ‘no compromise on quality’ -principle. For that reason, the combination of Tim Boury and Maxx Royal Kemer is a match made in heaven. Where Boury strives for perfection in his kitchen, the Maxx Royal hotel does the same in its hospitality services. Tim Boury brings the Belgian slow dining concept to Turkish, where the Maxx Royal hotel offers all facilities to enjoy dinner to its fullest. In Boury’s kitchen, the selection process of the best products is crucial. The basis of every dish is a main ingredient of the highest quality with sides chosen such that each one intensifies the taste and harmony of the creation. In that philosophy Tim Boury composed a selection of classic European dishes to serve in the Emerald Restaurant. With fish, meat and vegetarian options, the chef focuses on the use and balance of noble products with respect for the grand gastronomic tradition. Tim (35) and his wife Inge founded restaurant ‘Boury’ in 2010 after a thorough renovation of an aristocratic townhouse in the city centre of Roeselare, 120km west from Brussels (Belgium). They met in the kitchen of ‘Comme chez Soi’, where they both worked as ‘chef de partie’. Later, Tim became the left-hand and sous-chef of Sergio Herman at ‘Oud Sluis’ (***), whereas Inge worked with chef Peter Goossens at ‘Hof van Cleve’ (***). Only one year after the grand opening, the Boury team was rewarded by Michelin with a first star. In 2014, Tim was elected ‘Young chef of the Year 2014’ by Gault & Millau who scores the restaurant 17/20. In 2016 the restaurant moved to another location (also in Roeselare) where guests have the possibility to stay in one of the guestrooms, enjoy drinks in the garden and in the bar, or to make use of the conference facilities. Following the move, Tim was elected ‘Chef of the Year 2017’ by Gault & Millau and the team received a second Michelin star. Russian golfer Andrey Mayatskiy has won the championship of the Maxx Royal Cup Final, held at Montgomerie Maxx Royal Golf Club in Belek. 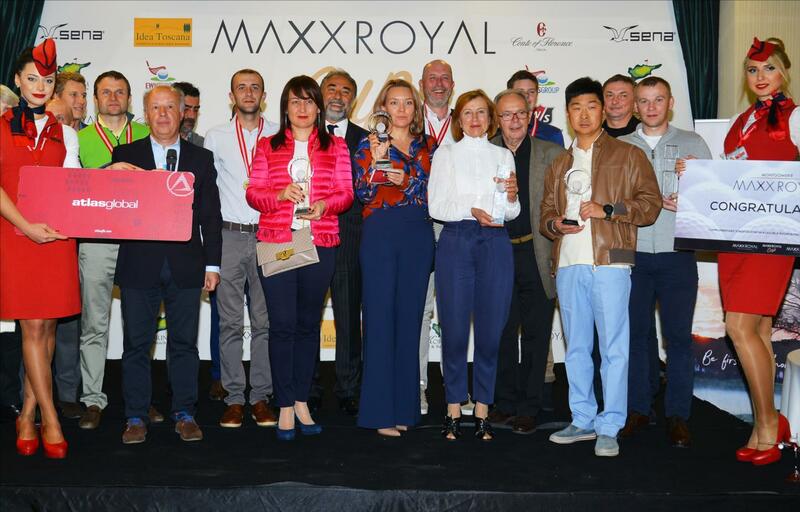 Mayatskiy achieved top billing in the Maxx Royal Cup, held for the second time this year. Taking the field in the organization’s final were 120 players from 18 countries – all champions of the 21 tournaments held during the year – with Ukraine and Holland hit the top in the Nations Cup. From Moscow Golf Club, Andrey Mayatskiy scored 34 points on the first day of the tournament, and 37 points on the second day, gaining a total score of 71 points. Ukrainian golfer Arthur Badjuk, one of two players with 68 points on the first day, took second place, with Estonian golfer Marina Kruger coming in at third place. Achieving first place on the Nation’s Cup first day was the Ukrainian team, consisting of Alexander Deniskin, Arthur Badjuk, Oleg Usenko and Vladimir Grinenko. The second day of the Nation’s Cup saw the Dutch Team coming in first, with Tim Giles, Rosemary Giles, Bob van der Voort and Arno van der Voort. In an awards ceremony held at the Club building, Maxx Royal Belek Golf Resort Manager Şenol Yorgancı and Montgomerie Maxx Royal Golf Club Manager Cahit Şahin presented trophies and awards to the winners. Şahin congratulated the ranking players, and expressed gratitude and appreciation for the support provided by CEO Mehmet Ersoy, the Tournament’s sponsors, notably Atlas Global and Sena Tur, as well as all the clubs, club presidents, the EWNS Group and everyone else involved in the organization. Having 40 players in its first year, Cahit Şahin noted that the Tournament had 120 players in its second year, and that initiatives are being taken to grow the organization even further in 2018. LIV TYLER INTERVIEWED IN HARPER'S BAZAAR RUSSIA! Liv Tyler spoke with Harper's Bazaar Russia on being the face of Maxx Royal Resorts in the 2018 campaign shot by Mariano Vivanco; about her new series, Gunpowder, and her co-star Kit Harington; and her third baby, Lula. You can read the entire interview in the October 2017 issue of Harper's Bazaar Russia! As the face of Maxx Royal Resorts, the lovely Liv Tyler is featured in the 2018 advertising campaign. Shot by Mariano Vivanco at Maxx Royal Resorts, Ms. Tyler’s infant daughter, Lula, also appears. MAXX ROYAL BELEK GOLF RESORT IS ONCE AGAIN AMONG THE BEST. Indulge yourself, and relax amid a lush atmosphere that transforms your dream holiday into a splendid reality – all in the magnificent world of Maxx Royal. Maxx Royal Kemer Resort proved its success by being awarded as ‘The Best Family Hotel’ by TripAdvisor. Maxx Royal Belek Golf Resort was honoured with the "2017 Certificate of Excellence" award with the votes of users of TripAdvisor, one of the world's largest travel websites. The Montgomerie Maxx Royal Golf Club was voted “Best Golf Club in Turkish” by golfers in the Leadingcourses.com Golfers Choice Awards. In the event where Prime Traveller, one of Russia’s most prestigious publications, identifies the best of the year, Maxx Royal Belek Golf Resort has been chosen the Best Family Hotel of the Year. Helicopter tours enabling you to visit the most exclusive corners of Antalya await you at Maxx Royal Resorts after the helicopter transfer service! Extraordinary discoveries await you with this very special experience, spanning from Aspendos Antique City to Cappadocia. The Ölüdeniz tours show the area in all its glory. With sights including one of the world’s best beaches, we land at Letonia Holiday Village (subject to weather conditions) . A highlight of the tour is an option to parachute from Babadağ. (From Belek return journey 135 min-From Kemer return journey 120 min). The Pammukkale tour includes the travertines of Pammukkale, a world heritage site, and the archaeology museum – opening the doors to an epic world. Book your place to be part of this story. (From Belek return journey 130 min-From Kemer return journey 130 min). A unique experience where you can discover the shores of Kemer, one of the Mediterranean’s most special areas. The tour offers a special opportunity to be in the midst of amazing nature. Extreme excitement awaits you on this unique tour: hold on tight as your helicopter conducts acrobatic manoeuvres in the local area for 20 minutes. Not for the faint of heart! The airport is only 10 minutes away by helicopter! With helicopter transfer privileges, you can reach your flight comfortably and quickly, while enjoying amazing views over Antalya. Please contact your Maxx Royal Resorts Maxx Assistant for more information. * Helicopter Tours run between 01 April and 31 October subject to the availability of the helicopters. * We cannot be held liable for helicopter tours that are cancelled due to adverse weather conditions or technical faults. * We cannot be held liable for delays caused by ground services, airport congestion, and flight times. * The time spent on helicopter tours may vary depending on the congestion at the destination port. * Because helicopter tours and transfers can only take place with official flight permissions, it is important that you are at the airport at the time of departure. No refunds can be made, and our company cannot be held liable in the event of a cancelation due to the guests not being present at the departure port at the specified time. HALFWAY TO THE GRAND FINAL OF THE MAXX ROYAL CUP 2017! Delivering the excitement of golfing to Europe’s most prestigious clubs this summer, the Maxx Royal Cup is proceeding briskly, as the global amateur golf series enters its 14th stage. Consisting of 21 stages in total, the series commenced in May, with Russia, Germany and Estonia, as well as Italy, Ukraine and Finland, hosting events between May and July. The 13th stage of the golf series concluded at the end of July, with Heino Heikki triumphing at the Linna Golf Club in Helsinki. 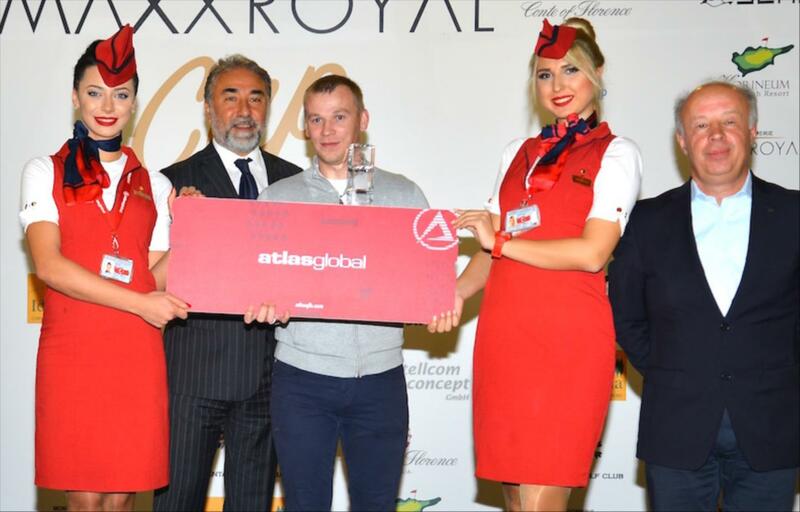 The first stage of the Maxx Royal Cup launched in the last week of May, when Dmitry Leschenko sealed his victory at the Zavidovo Golf Club in Moscow. Moving to Germany, four events were held, respectively, at the Seddiner See G&CC, the GC Nahetal, the Land GC Schloss Moyland and at the Düsseldorfer GC, where Wolter Marina, Siegfried Ostrowski, Krueger Carsten and Inna Annette Steffen gained places in the Grand Final. The next stop was Tallinn, where Martina Kruger finished first at the Estonian G&CC. Maxx Royal Cup then brought together golfers in two different countries on the same day: Tracey Shirvell scored at the Argentario Golf Club in Rome, while Badiuk Arthur won in Kharkiv. Players will continue to compete in the upcoming Maxx Royal Cup events, securing their spots in the Grand Final. The Maxx Royal Cup Grand Final will be held at the Montgomerie Maxx Royal Golf Club in December in Belek, Antalya, where the 2017 winner will be announced. Tracy Sedino, artistic director and partner at the Linda Farrow brand, graciously answered questions for InStyle.ru during the Maxx Weekend Party at Maxx Royal Kemer Resort. Tell us the truth - how often do you travel? One year, I was travelling 280 days! But, of course, I don’t break records every year. I usually go on a business trip every two months. It's tough to endure long flights, and you do it often! How do you spend time on the plane? Right after I turn on my iPad, I dab DrJart+Hydra Solution Gel Mask moisturizing gel mask on my face. Then I snuggle down with a big cashmere scarf, and just relax. What clothes and shoes do you prefer for a seaside holiday? How do you protect yourself from the sun - and how do you achieve that perfect tan? I don’t even go into the sun without Institut Esthederm suntan oil and spray. I also use Lancaster Tan Deepener, which helps me to get an even, glowing tan. As well, I always have a stash of NARS Monoi Body Glow glowing effect and body gel with me during a holiday – this gel is a great choice, especially for unexpected party invitations. What do you prioritize when selecting a hotel? Scenery! Since I live in a major metropolis, I’m used to seeing glass and concrete skyscrapers from my windows; I need a beautiful view of another sort when I’m on holiday. Where are some of your favourite places in Turkey? We shot a Linda Farrow ad campaign in Cappadocia, and words cannot describe the absolute beauty of that area. I love Cappadocia and, of course, Istanbul! What do you like the most about the Maxx Royal Kemer Resort? Here, I stay in a villa with a private pool and access to the beach. Both my villa and hotel are wonderful – the service is fabulous! I can’t remember that I’ve stayed in a more comfortable room than this villa, and I can definitely say that the services offered at this hotel are among the best in the world. IRINA SHAYK AND MERT ALAS TOGETHER! Maxx Royal Resort’s “face of advertising” for 2017 is Irina Shayk! Photos of the successful star, who came to Antalya for the photo shoot, were shot by the talented Mert Alaş, known for his photographs of world-famous celebrities. Irina Shayk and Mert Alaş were hosted at Maxx Royal Kemer Resort during the three-day photo shoot with attentive service.